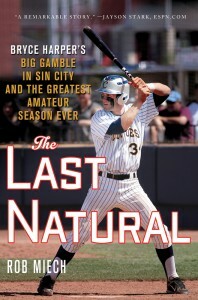 A review of The Last Natural: Bryce Harper’s Big Gamble in Sin City and the Greatest Amateur Season Ever by Rob Miech. Thomas Dunne Books/St. Martin’s Press, 2012. 356 p. Review copy courtesy of the publisher. The title ‘The Last Natural‘ packs a lot of meaning and connotation into a few words. 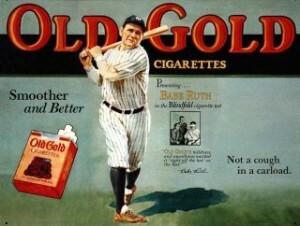 While ‘natural’ clearly refers to the inherent talent that Bryce Harper seems to have, there are a few other connotations, at least in baseball. Since Harper arrives at what might be considered the end of the “steroid era,” it could be a kind of pessimistic reference to Harper’s eschewing drugs since ‘natural’ can also mean pure or unchanged. 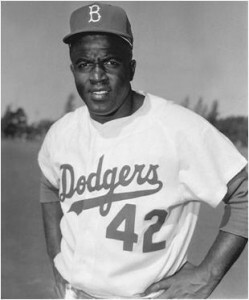 It could also be a nod to Bernard Malamud‘s novel The Natural, perhaps the finest work of fiction about baseball and the source for the Robert Redford film of the same name.